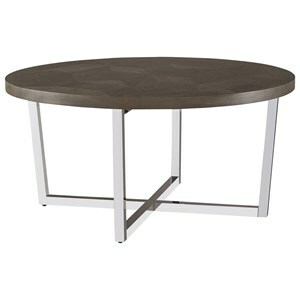 Bring rustic contemporary style to your living room with the Dorchester end table. The table's mixed-media design highlights clean lines and geometric shaping, including a unique table top pattern created by alternating oak grains. A Brownstone finish on the wood top adds rustic appeal, while the chrome-plated finish on the base highlights sleek contemporary style. 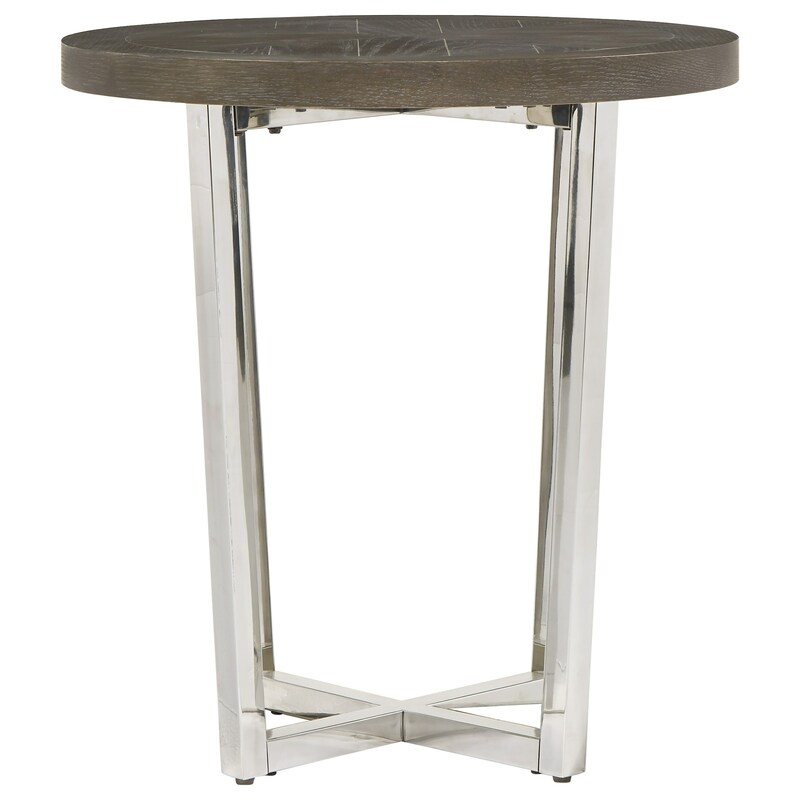 The Curated Dorchester End Table with Chrome-Plated Base by Universal at Hudson's Furniture in the Tampa, St Petersburg, Orlando, Ormond Beach & Sarasota Florida area. Product availability may vary. Contact us for the most current availability on this product. The Curated collection is a great option if you are looking for Rustic Transitional Rustic Transitional furniture in the Tampa, St Petersburg, Orlando, Ormond Beach & Sarasota Florida area. 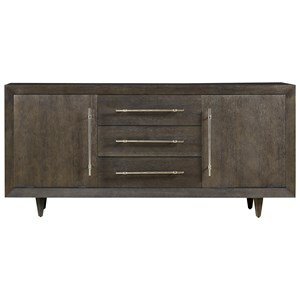 Browse other items in the Curated collection from Hudson's Furniture in the Tampa, St Petersburg, Orlando, Ormond Beach & Sarasota Florida area.